High-quality installation by industry experts. When it comes to home investment, new windows and glass is one of the most expensive – but rewarding – improvements to make. When windows become outdated, the glass may break easily or become the worn out from harsh weather. The quality of your windows can also affect your heating and cooling expenses if airflow is compromised by cracks in your window. What’s more, outdated windows could create a safety and security concern, particularly if window locks are worn out. If you are undecided about whether to go with retro-fit windows or new-construction windows, our team can help you decide! 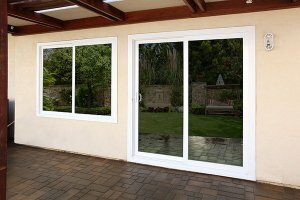 At Blossom Hill Glass, we specialize in retro-fitting windows and panels, guaranteeing your 100% satisfaction. When you call for your free estimate, we will provide you with the total cost to complete the project, so you are not surprised with hidden fees or added expenses. With 25 years’ experience and knowledge of the unique weather and temperature patterns in Santa Clara County, you can trust our team to do the job right the first time. Contact Blossom Hill Glass in San Jose today! If you are ready to get started on replacing and updating your windows, be sure to contact our industry leaders at Blossom Hill Glass. We can analyze your structure and determine what is best for your situation. Get in touch with us by dialing (408) 629-7500 .